Did you ever have a mayonnaise chicken? 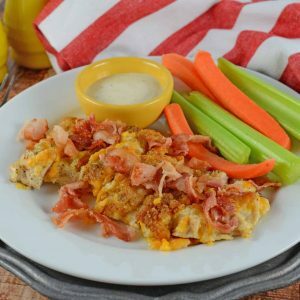 Think of Bacon Ranch Chicken as mayonnaise chicken with a massive makeover. Easy weeknight meals are always in demand. We have busy lives and need to make home cooked meals in a jiffy. 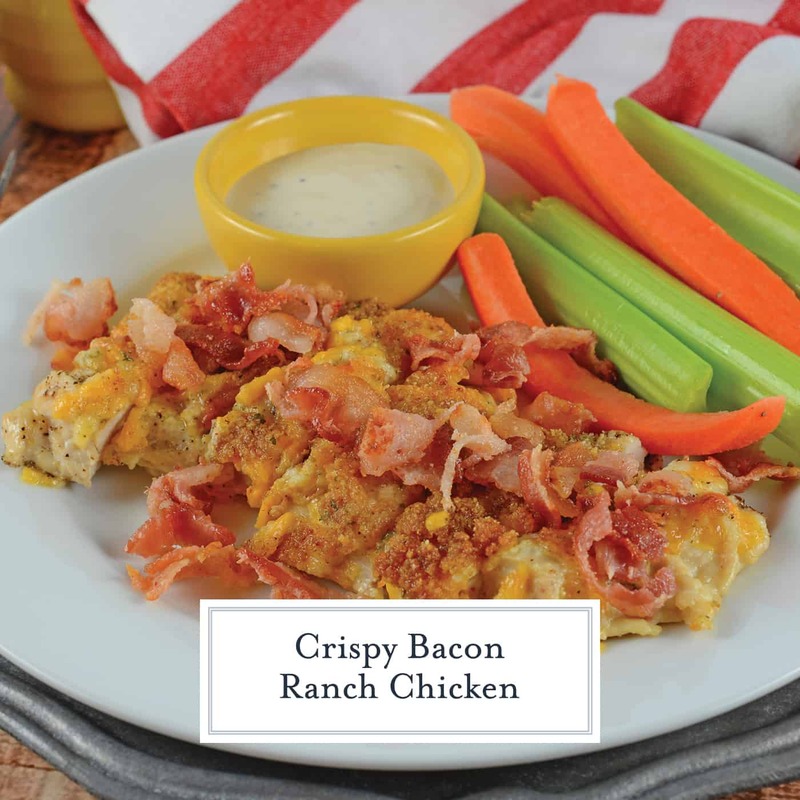 Bacon Ranch Chicken will be your new favorite solution. It came like a lightbulb after making Garlic Parmesan Chicken. Made with less than 10 ingredients you probably already have in your pantry and refrigerator, you’ll be eating it at least once a week! 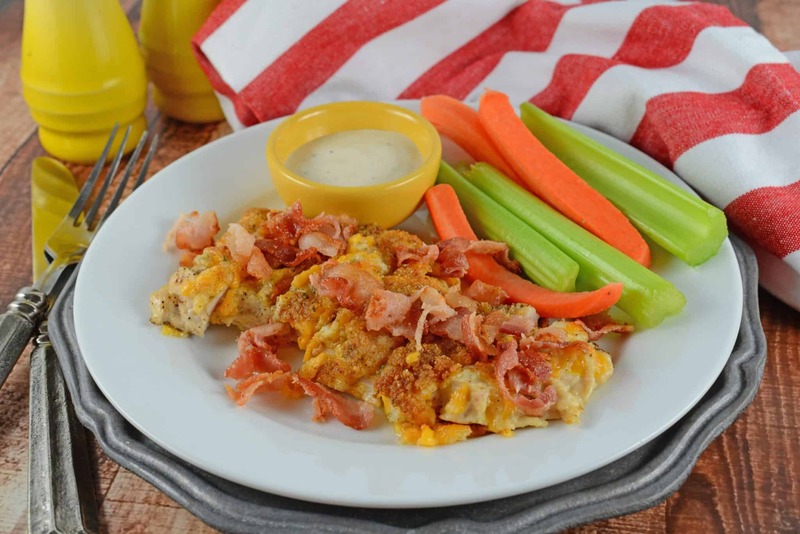 Mayonnaise chicken has been a family meal staple since the 1950’s. It helps keep the chicken nice and juicy, while also adding loads of flavor. I bet your mother made it! Mayonnaise is made from eggs and oil and is therefore the perfect ingredient to use for the base. It holds the rest of the ingredients together instead of letting them slide right off. 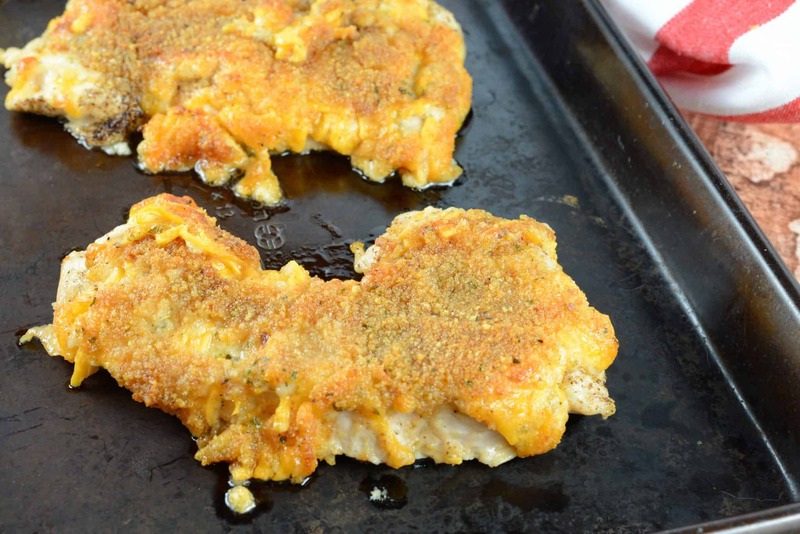 With cheddar baked right in, it is full of cheesy goodness. 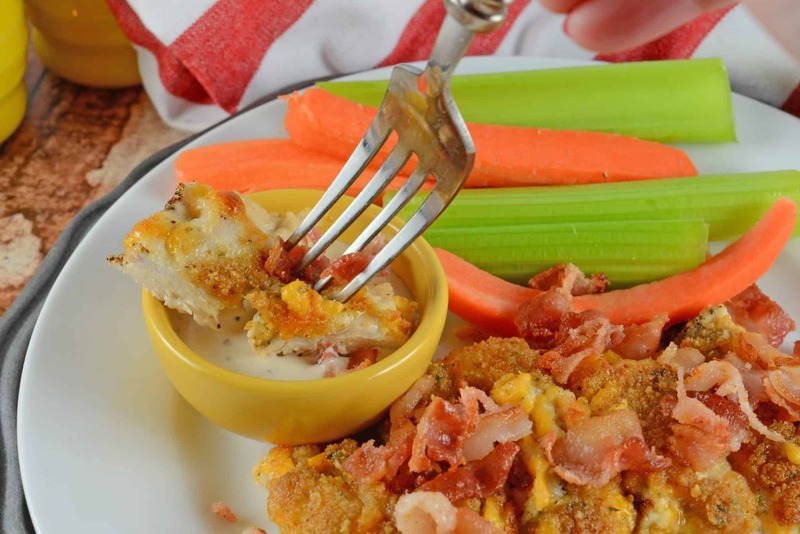 And what goes better with cheddar and ranch than bacon? Nothing! They are like spaghetti and meatballs or peanut butter and jelly. Bacon makes everything better, duh. 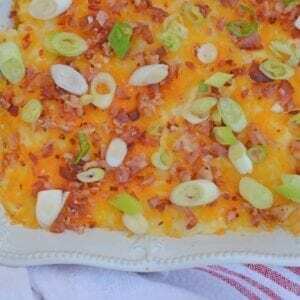 Take it one step further and add MORE cheese to the top after baking for ultra cheesy goodness. My husband also likes a side dipping sauce of ranch dressing. He is saucy, what can I say. 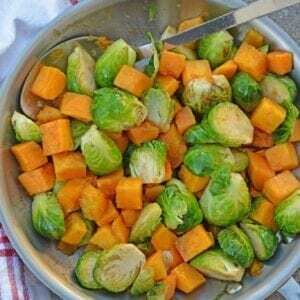 Serve with a leafy green side salad or simply steamed vegetables and a dinner and you are all set! 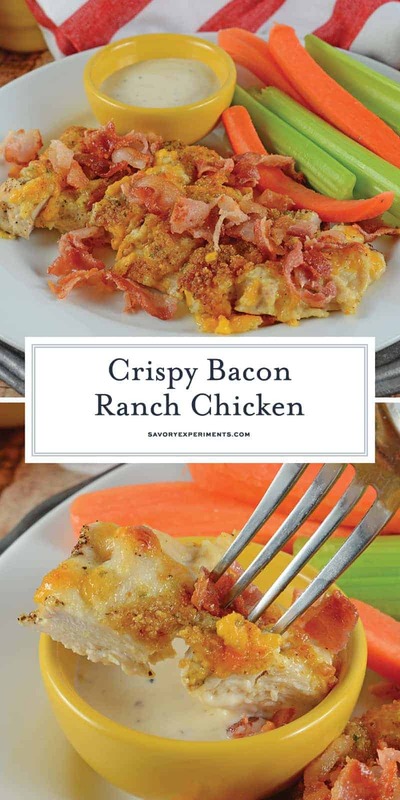 A meal your whole family will enjoy in just 30 minutes!